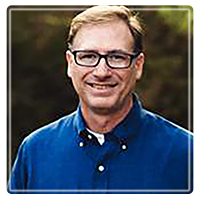 Grand Rapids Therapist: Jonathan Mulder - Therapist 49525. Dr. Mulder specializes in marriage and family counseling. His expertise is in attachment-based therapy where he focuses on strengthening or rebuilding relationship bonds in a manner that leads to greater relationship security and emotional connection within marriages and families. He is also an experienced trainer for the PREPARE-ENRICH relationship inventory and has provided certification training to professionals throughout the state of Michigan and surrounding areas. This combination of background and education make Dr. Mulder uniquely qualified to help couples and families to navigate the difficult challenges that many marriages and families are facing. Dr. Mulder is licensed both as a professional counselor and marriage and family therapist. He holds a Bachelor of Science Degree in Business Management, a Master of Arts in Professional Counseling, and a Doctorate of Philosophy (PhD) in General Psychology. Dr. Mulder's dissertation research was based on attachment theory--a highly researched theory that encompasses not only personal development but also personality, emotion regulation, and social/relational behavior. In addition to his counseling practice, Dr. Mulder is an adjunct faculty member of the College of Doctoral Studies at Grand Canyon University. In this role, he serves on several doctoral dissertation committees as a research methodologist and content expert in areas of attachment, relationships, personality, and emotion.